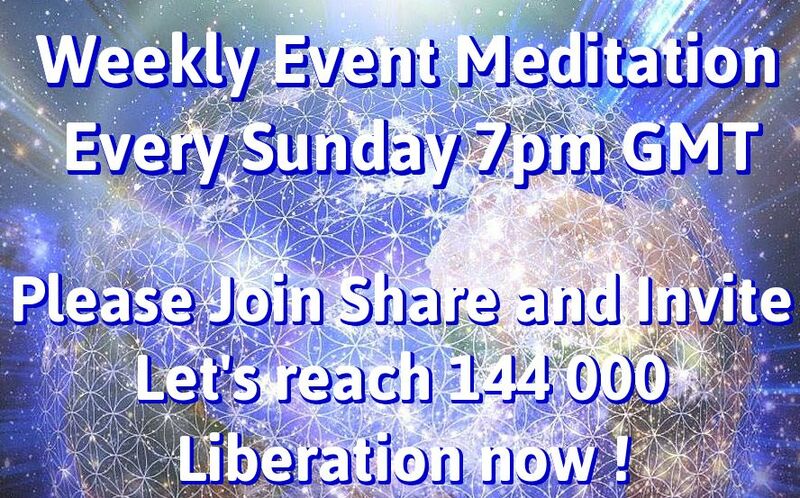 Weekly Ascension Meditation each Sunday. 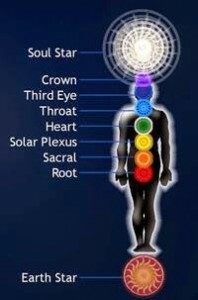 Visualize a pillar of Light emanating from the Galactic Central Sun, then going through all points of Light inside our Solar System and then through your body to the center of the Earth. Visualize another pillar of Light rising from the center of the Earth, then up through your body and upwards into the sky towards all beings of Light in our Solar System and our galaxy. You are now sitting in two pillars of Light, the Light flowing both upwards and downwards simultaneously. Keep these pillars of Light active for a few minutes. Now visualize this Light as a rainbow vortex, expanding throughout the whole Earth and then throughout the whole Solar System, removing all darkness and anomaly, dissolving the Matrix and bringing happiness, abundance, peace and love to all beings inside our Solar system. Visualize full Disclosure and massive information releases about the extraterrestrial presence and secret space programs through the mass media. Visualize the creation of the new fair financial system for everybody. Visualize the First Contact with benenvolent ET races. Visualize the Event taking place, finally liberating planet Earth. 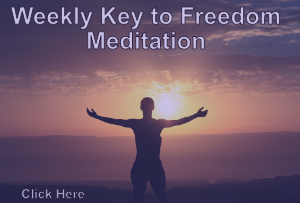 This is the audio version of the Original Weekly Event Meditation by Dov and Judy. Start it when you are ready to begin your mediation! Visualize a pillar of electric blue Light emanating from the Galactic Central Sun, going through your body to the center of the Earth. Keep this pillar of Light active for a few minutes.Then visualize all negative entities around the Earth being removed from plasma, etheric and astral planes along with all their negative spiritual technologies and magical tools and all those entities being escorted into the Light by the non-physical freedom fighters of the Light.Visualize this process taking place worldwide peacefully and smoothly.Visualize the world finally being free from spiritual slavery, free from all evil Archons, Reptilians, demons, elementals and other negative non-physical beings. Visualize the vibration of the plasma, etheric and astral planes getting lighter and brighter until all dark beings are gone and only Light remains. Visualize this process taking place worldwide peacefully and smoothly. Visualize the world finally being free from financial slavery, free from all evil dictators and corrupt politicians. Visualize a vortex of brilliant white Light descending from the Soul star chakra of Cabal middlemen (bribed congressmen, misled high level freemasons, greedy CEOs of companies, pilots operating killing drones, soldiers pulling the trigger, personnel operating scalar directional weapons, Academi mercenaries, religious fanatics…) into their energy field and their personality, awakening them to the reality of Light, guiding them to step away from the Cabal, giving them power to set themselves free from darknes. How many people are currently doing this globally approximately? Good question. There is at least one, me! I look forward to meditating with you!! We also host Healing Circles and have other rooms that talk about intel as in the current events rooms, for those keen on getting their fix ? Hello everyone! Where can I download that 16min audio?! The instructions say to visualize a pillar of light from the center of the earth up through our body and upwards into the sky. The flow of this energy current is optimal when the atlas vertebra is in its correct position. Unfortunately, almost all humans are genetically programmed to be born with an atlas misalignment(you can thank the dark forces for that). The angle of the misalignment is usually 23,5 degrees coincidentally this is same with the earth’s axis tilt. You can have your atlas vertebra corrected permanently with the AtlasPROfilax method. This cannot be done with hands alone. There is proper machine that puts the atlas in the correct position. This should only be done by a certified AtlasPROfilax practitioner. Namaste, Its is always a joy a true honor, joining you all in partaking in these meditations weekly and daily. Thank you my sincere gratitude to mother earth and all its creation. Victory Of The Light. I can’t imagine what a toplet bomb or whatever looks like, so will just go back to the original meditation (which, by the way, gives me the kinds of tears in my eyes that I’d received from prior acupuncture sessions). Dear PFC, I have noticed in the weekly meditation which states that first contact comes before the Event. Cobra has stated the Event will come first followed by first contact. Its a small detail which you may like to correct. Love and peace. Victory of the light. i think most of the promoters and interceders of the global unity meditations on sundays have agreed to meditate around 5am greenwich mean time.. why you shifted yours? i think your explanation is not that convincing. i think by shifting the time away from it`s original slot you divide the unifying power of the meditators.. witch i think is missing the point of the whole idea..
English meditation – Music too loud sometimes and can not hear the instructions. Because I meditated earlier, I state my intention for my energies to join at the 4GMT time slot, as 1 am interrupts my sleep! Shashwat Pranam , Mother Earth, merging with you to be together in your new , beautiful way of Nova Earth , New Sophia and new us ready to meet all the loved ones again after thousands of years . “JAI MAATA KI” in the harmony of peace and love with the Victory of the light. Salaam, Namastey, Salute. Shashwat pranam , param “MATAA ” new Gaia, param “MAATA” new Sophia, param “MAATA” Nova Earth , in the I am presence , in the violet flame , in all divine love with the Victory of the light , love and peace forever this is my wish and my wish is my command. Salaam, Namastey , Salute. Shashwat pranam Param ‘MATAA MAHAMAYA” ,in our hearts and souls uniting to join you ,Pranam your higher self, NOVA EARTH, the NEW SOPHIA, with the Victory of the light love and peace forever more.Salaam, Namastey, Salute. Shashwat Pranam , Param Mataa Gaia , With the Violet flame in heart and soul , liberation now dear Mother with you all of all in all love with the Victory of the light , love and peace forever more. Salaam, Namastey. Hello, I’ve been doing the weekly meditation for several months now but I am now a little confused on the timing of the meditation… it has always been at 4pm GMT (11am EDT for me) but the clock at the top of this page appears to be counting down to 5pm GMT since daylight savings time has kicked in. Would you please advise when the meditation is happening? Is it 4pm or 5pm GMT? Thank you. There’s a quite effective tool which helps us in synchronizing our effort at https://prepareforchange.coeo.cc/meditate/ The effect of it is sensible. Interestingly enough I couldn’t sign in today at the time of the meditation, the site went down. Too many of us tried to sign in all at once, or a DDoS attack just happened? I would like to make a comment about your weekly meditation. I would love to do this meditation every week but unfortunately the time slot means I am unable to do this as the time slot falls at midnight Monday morning. I have work commitments and I would love if you moved the time to either Friday or Saturday so that Australia and Asian countries could join in. 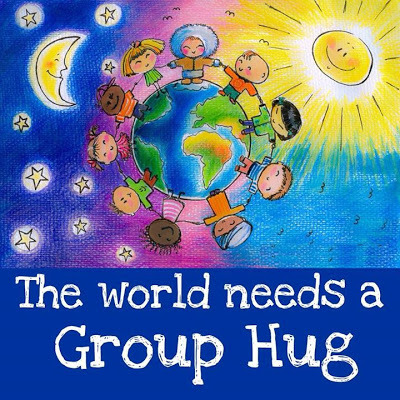 I believe this would be beneficial to all human kind. Thank you for hearing me on this matter. Shashwat Pranam Param Mata Gaia. Liberation is now.Victory of the light love and peace forever more. Namastey. Jai Mata Ki.